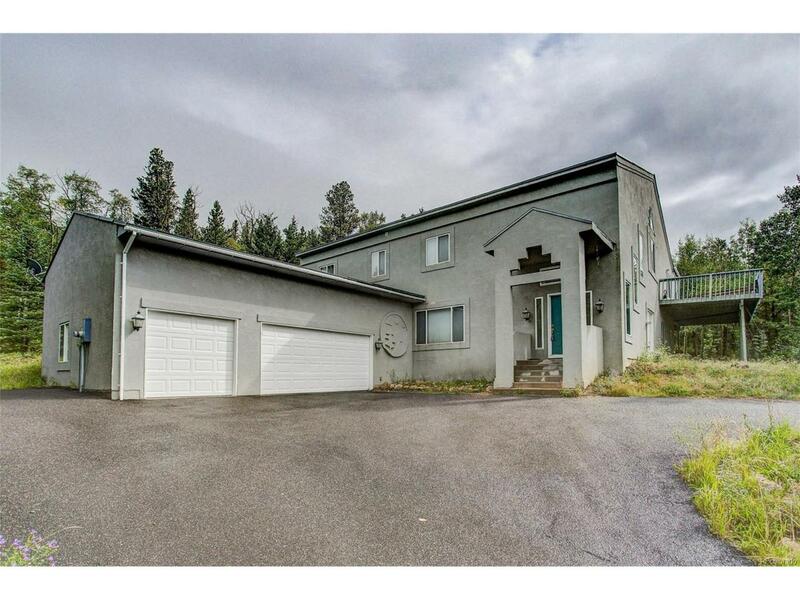 Beautiful Mountain contemporary home with large rooms, open floor plan Continental divide views, tall vaulted ceilings and warm radiant heated floors. Paved driveway, RV parking, Game Room, Theater, Indoor work shop, Sauna, Sun Room, Green house and wood fired pizza oven. Over sized 3 car garage and almost 0 maintenance. Super low Gilpin county taxes and low utility bills. Close to state of the art Recreational Center, gambling, 4- Wheeling, Hiking and Skiing nearby at Lake Eldora Ski Resort. Easy access to Boulder, Denver Golden. DIA, ( Denver International Airport) Wonderful restaurants, schools, movie theater, shopping and more just minutes away in the Town of Nederland.